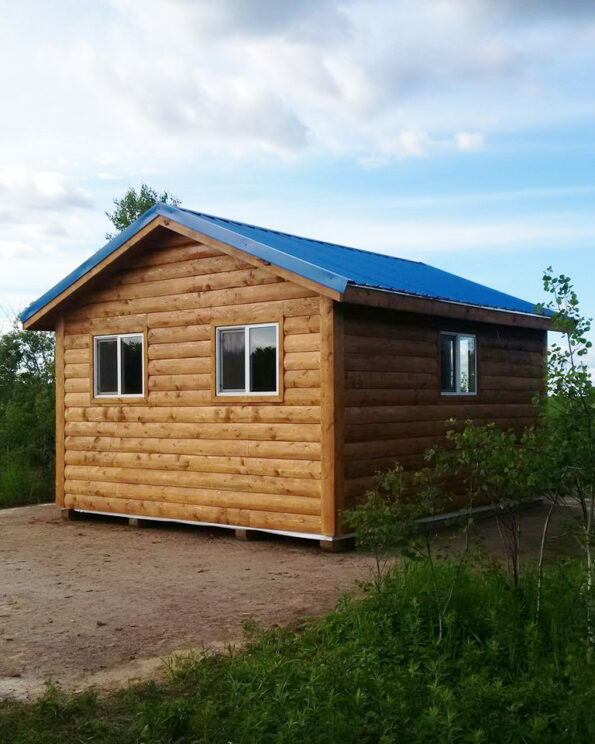 Our Prospector model is inspired from original trapper cabin designs. 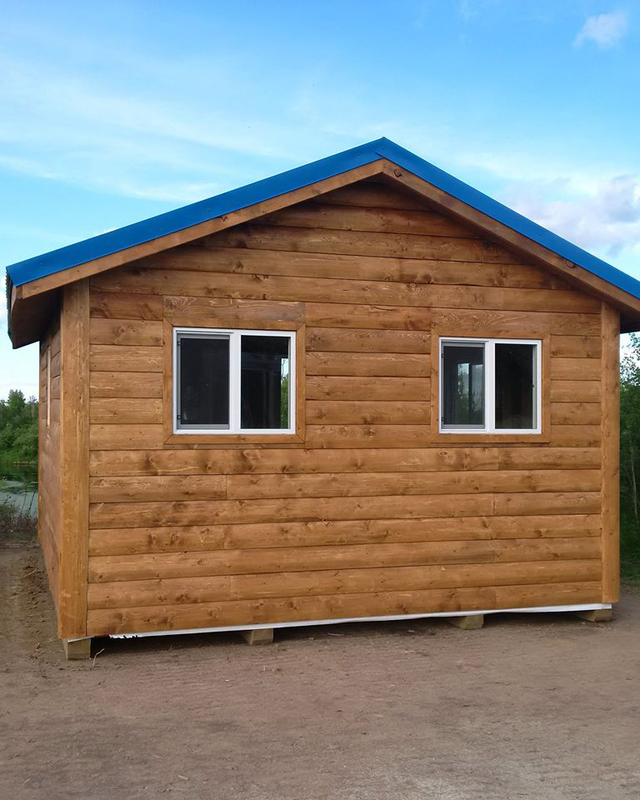 Their rustic charm make them the perfect retreat away from home, or even an extra bunk house for guests, or backyard office/workshop. 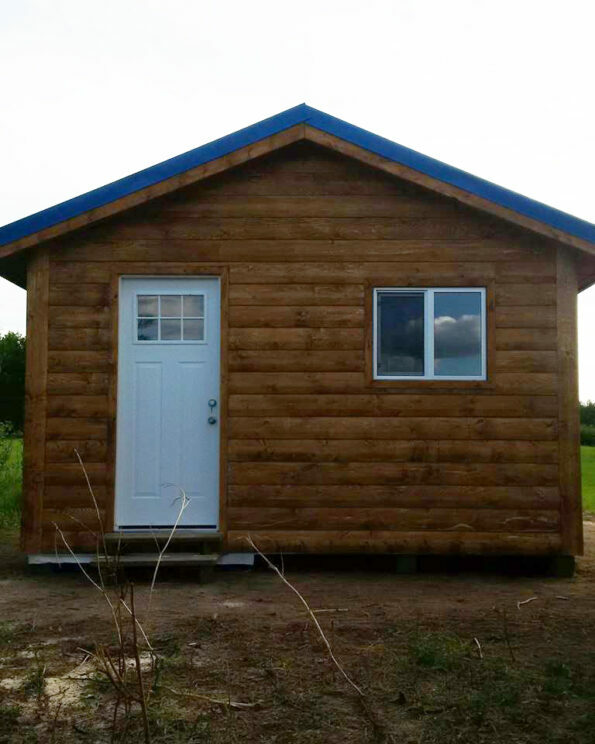 We offer our cabins in different sizes, stains and options. 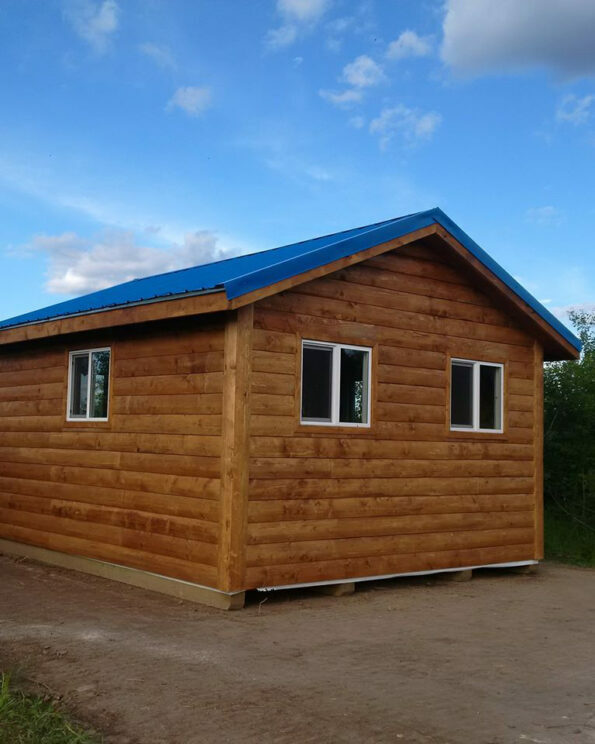 Prospector model which offers a 1/3 slope roof open ceiling, 7ft 6” high walls, 2×4 16” o/c framed walls, 2×6 16” o/c subfloor, osb underlayer & ¾ plywood top.